Happer: "The world has lots and lots of problems, but increasing CO2 is not one of the problems. So [the accord] dignifies it by getting all these yahoos who don't know a damn thing about climate saying, 'This is a problem, and we're going to solve it.' All this virtue signaling. You can read about it in the Bible: Pharisees and hypocrites and phonies." President Donald Trump has fired a huge salvo against the man-made climate change establishment with his pick of new top White House advisor Dr. William Happer of Princeton University. Happer, who has authored over 200 peer-reviewed scientific publications, has ripped man-made “global warming” claims. Happer will be serving in the Trump administration for the National Security Council as the senior director for emerging technologies. Happer has denounced the claims of a “97% consensus” as a “pernicious myth” and has praised rising carbon dioxide levels for “benefitting the world through increased yields for agriculture and forestry, and from shrinking deserts.” Happer is the Cyrus Fogg Brackett Professor of Physics, emeritus, at Princeton University. 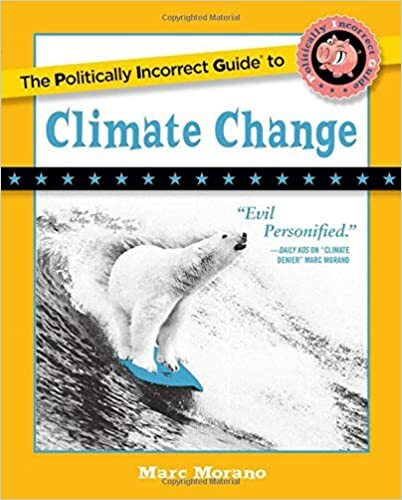 “The hated ‘deniers’ are right,” Happer wrote in 2018 in the endorsement for the new best-selling climate skeptic book, “The Politically Incorrect Guide to Climate Change,” By Marc Morano. In the book, Happer drew parallels to today’s man-made climate change claims. “I don’t see a whole lot of difference between the consensus on climate change and the consensus on witches. At the witch trials in Salem, the judges were educated at Harvard. This was supposedly 100 percent science. The one or two people who said there were no witches were immediately hung. Not much has changed,” Happer quipped in the new book. Here is how the media is treating the news of Happer’s new role advising President Trump. Excerpt: William Happer, a physics professor and vocal critic of mainstream climate science, has joined the White House as a top adviser. Happer, 79, told E&E News in email that he began serving yesterday on the National Security Council as the senior director for emerging technologies. NSC officials confirmed Happer’s new role but declined to provide further detail about the appointment, which CNN first reported. Former Harvard Physicist Dr. Lubos Motl responds to CNN: “Right. By their definition, this scam is nearly universally accepted as “science” by these scammers. If you’re an expert in the climate hysteria who is approved by other experts in the climate hysteria, you usually accept that the climate hysteria is rational. Otherwise, you wouldn’t be an expert over the climate hysteria. Instead, the real question is whether a rational society should nurture and pay “experts” in the climate hysteria – “experts” in a discipline where the big answer is decided from the beginning and it’s a scientifically ludicrous one. Happer, who has authored 200 peer-reviewed scientific papers, has testified to the U.S. Senate that the Earth is currently in a ‘CO2 ‘famine.’ Happer explained to Congress in 2009: ”Warming and increased CO2 will be good for mankind…’CO2 is not a pollutant and it is not a poison and we should not corrupt the English language by depriving ‘pollutant’ and ‘poison’ of their original meaning,” Happer added. Happer’s meeting with Trump gave rise to speculation about a role in the administration. Climate skeptics would rejoice at the prospect of Happer joining a Trump administration. Happer served as the former director of DOE’s Office of Energy Research — now the Office of Science — from 1991 until 1993. Happer was also featured in the 2016 theatrically released skeptical film Climate Hustle. Watch Now: Princeton U. 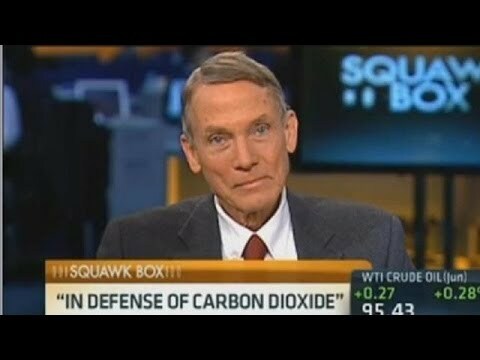 Physicist Dr. Will Happer on CNBC on benefits of rising CO2: ‘1,000 ppm of CO2 would be beneficial for the productivity of agriculture’ – Happer’s key points: 400 ppm of CO2 is nothing special, 1,000 ppm of CO2 would be beneficial for the productivity of agriculture – which has already gone up a little bit, thanks to the slightly increased CO2 levels. The Earth has seen concentrations as high as 4,000 ppm or higher. It wasn’t during the era of humans – but the era of humans is a tiny fraction of the Earth’s history and when CO2 was around 4,000 ppm, our primate ancestors – whose physiology and climatic preferences don’t really differ from ours – were already alive.